I believe that bitcoin is peer-to-peer in nature. Heck, the name of Satoshi Nakamoto’s white paper is titled “Bitcoin: A peer-to-peer electronic cash system.” Despite that, traditional bitcoin exchanges are what remain to be the popular option. It’s probably because they’ve been around longer but still, peer-to-peer marketplaces already exist and I wonder why these platforms aren’t the more popular option yet. Not only have they made it incredibly easy to buy bitcoin, but they’ve also given more control to both the buyers and sellers. As someone who buys and sells, this is an extremely important advantage… but more on that later. I’m going to be talking about why you should at least consider using a peer-to-peer marketplace over a traditional bitcoin exchange. Obviously, to each his own right? No worries if you want to stick to your current exchange, I’m just asking you to hear me out. To really understand how peer-to-peer marketplaces work, you first have to understand how traditional bitcoin exchanges work. They both serve the same purpose but they do it in very different ways. Traditional bitcoin exchanges do their business via order books. Basically, you’re matched with a trade partner but no interaction is needed as there is a middleman that will help you carry out the trade. That’s pretty much it. They’re fairly simple and easy to use. Just like traditional bitcoin exchanges, there is no middleman to help them out. Buyers and sellers are tasked to complete the trades themselves. People who are looking to buy bitcoin are shown a list of offers to choose from. From there, they can choose an offer based on their preferences. These preferences can include how much bitcoin they’ll be getting per dollar, the location of the seller, the preferred currency, and many more. Sellers have the option to make these preferences, allowing for more personalized offers. Traditional bitcoin exchanges can seem easier to use with the fact that they have a middleman that helps carry out the trade. Basically, the platform holds your hand throughout the whole process. The problem is, holding that hand doesn’t come free. There are usually higher fees on traditional bitcoin exchanges compared to peer-to-peer marketplaces. These fees pay for the middleman as well as the other services that these platforms provide. On peer-to-peer platforms, the fees are significantly smaller. Users will usually only have to pay for an escrow fee and platforms have little to no interference on the trades. Good peer-to-peer platforms usually have hundreds of payment methods. This is what makes it incredibly to buy bitcoin. By searching through all the available offers, you can see opportunities to make money with bitcoin. It will also allow you to find several niche markets with specific payment methods. If you can’t find the payment method you’re looking for, peer-to-peer marketplaces often allow their users to suggest new ones. This feature allows buyers and sellers to chat in real time. This can be used for clarifying payment requirements and just general conversation. Who knows? It could lead to a long-term business relationship. As mentioned earlier, sellers have the ability to personalize their offers according to their preferences. This includes being able to set your profit percentage, preferred currency, and even the location of your buyer. Escrows act as a third party that protects both buyers and sellers. It prevents them from getting scammed as it holds all the coins until the trade is complete. This feature provides an extra layer of security on each user’s account via verification on SMS. The best peer-to-peer platforms have good customer support teams that operate 24/7. They’re there to help you if you don’t understand how to use the platform or if (God forbid) you get scammed. Over the past few years, peer-to-peer platforms have seen a rise in popularity. This is because people are finding new and creative ways to use bitcoins in real life. These real-life uses include remittances, earning an income, making payments, and wealth preservation. It won’t be long before someone else finds a new way to use bitcoin and its peer-to-peer aspect to his/her advantage. 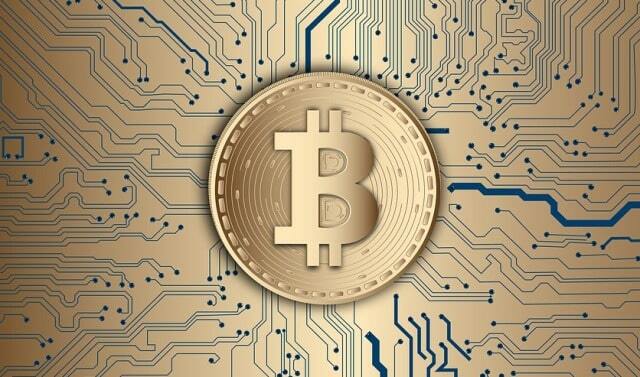 Peer-to-peer bitcoin trading is changing the game. It’s something that we can all learn from and let’s hope that it’s that something that can push bitcoin towards mass adoption. I hope you enjoyed this blog post about the advantages of trading Bitcoin on a peer-to-peer marketplace for cryptocurrency. Interested in more articles about Bitcoin, blockchain and crypto?